It's not just the fact that golf courses seem to be on every other corner - think quality in addition to quantity. These top-notch courses are not your typical run-of-the-mill mini-golf spots, as each one is truly unique and spectacular, bringing something different to the table. One golf course is based on the designer's trips around the world, another is indoors to allow for mini-golf in any weather, another transports you to a land of pirate ships and buccaneers, and more fun abounds. 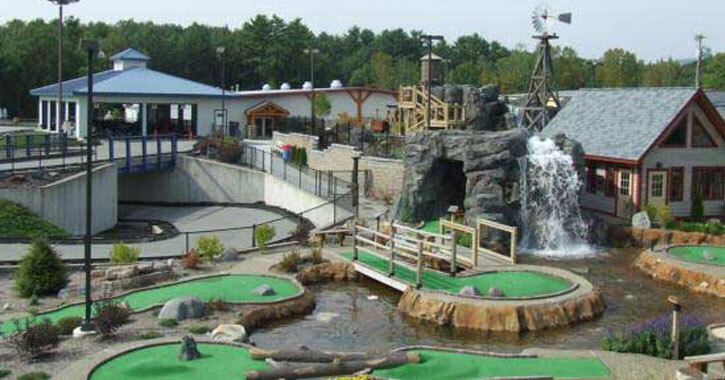 Don't settle for an ordinary outing to a mini-golf course when you can go to Lake George! 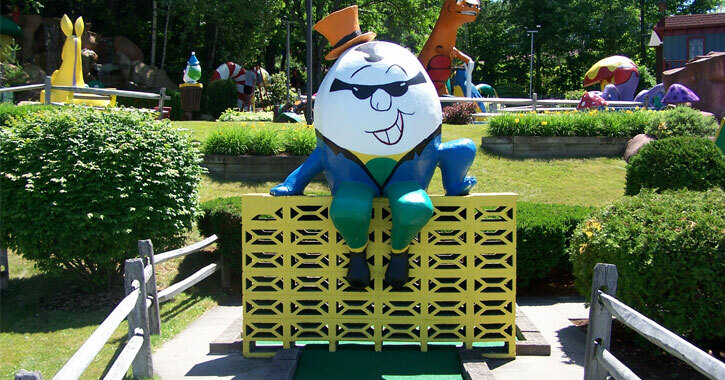 Around the World Golf is considered to be one of the oldest miniature golf courses in the Lake George area - and one of the most original! This golf course has been featured in a variety of magazines, and even tops some lists of the best golf courses in the country. True to its name, Around the World Golf really is like taking a miniaturized version of a trip around the world. Lake George local Harry Horn designed the course based on his travels around the planet and souvenirs he brought back with him. You'll see a replica of a New York City subway, a giant sombrero, a life-sized lobster, and more. Looking for outrageous mini-golf? Head to Goony Golf! Much like with Around the World Golf, Goony Golf offers a true adventure as you make your way through the course. A few sights you'll see along the way include the Snake Pit, the Pirate Ship, the Hickory Dickory Clock, and Peppermint Island. You'll also come across a few characters during your game like the Mad Hatter and Humpty Dumpty. Are your mini-golf plans rained out? 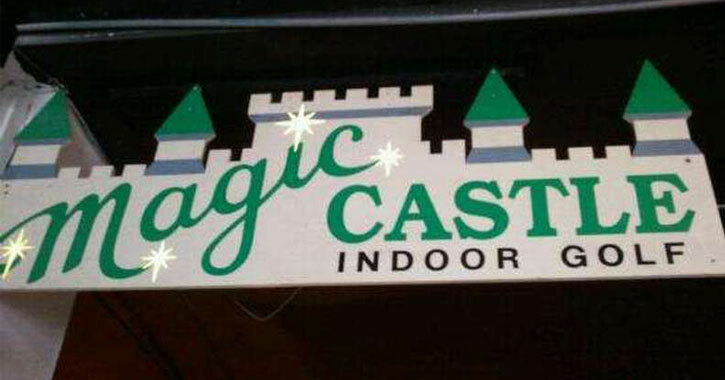 Not with Magic Castle Indoor Mini-Golf! If you've shied away from indoor courses in the past because they tend to be flat and unexciting, this is the mini-golf spot for you. Magic Castle has decorative artificial greenery, actual water hazards, and more. In addition to the fantastic mini-golf course, you can also take advantage of their roller coaster and motion simulator during your visit. Have kids who love pirates? Or, are a swashbuckling buccaneer enthusiast yourself? 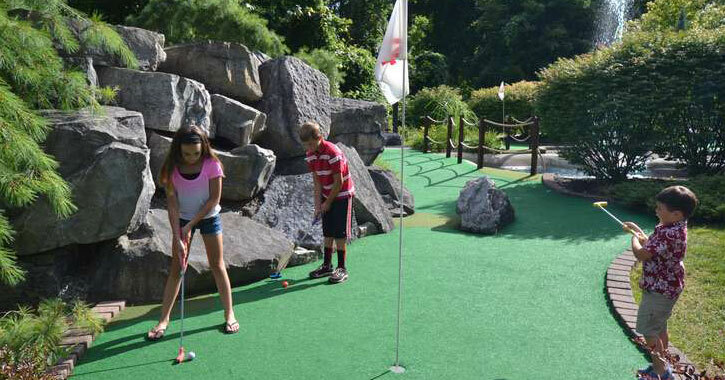 Head to Pirate's Cove Adventure Golf, which was voted Best Miniature Golf Course in the Capital Region and Best of Lake George: Mini-Golf for several years. 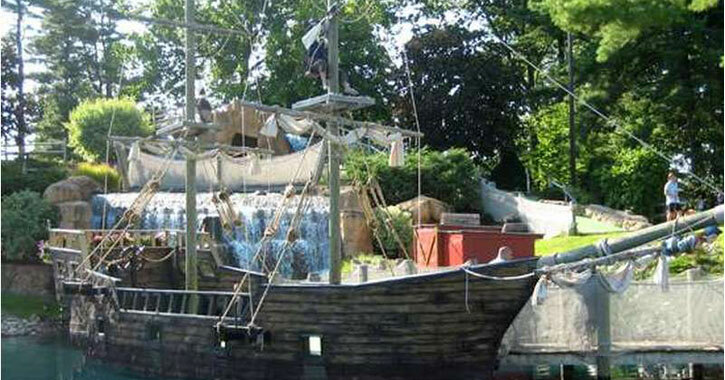 In addition to the Lake George location there is a second Pirate's Cove in Queensbury. When you come to Pirate's Cove you'll be entering an 18th-century world of sunken ships, dreaded dungeons, and wild waterfalls. Ahoy! 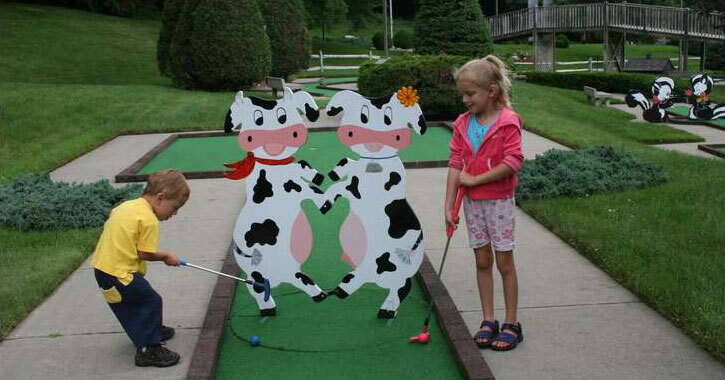 You'll really feel like you're in the heart of the Adirondacks at Lumberjack Pass Mini Golf. Soothing streams, natural stone waterfalls, and a lush landscape surround you as you work your way through the course. You'll also discover challenging water hazards and sand traps, not unlike an actual golf course. Entertainment Designer rated Lumberjack Pass one of the craziest mini golf courses on the entire planet (Around the World Golf also made the list!). Come see for yourself why this mini-golf spot is so remarkable - and, it's just outside of the Village! For mini-golf plus more, consider an outing to The Fun Spot in nearby Queensbury where they offer a plethora of both outdoor and indoor activities. 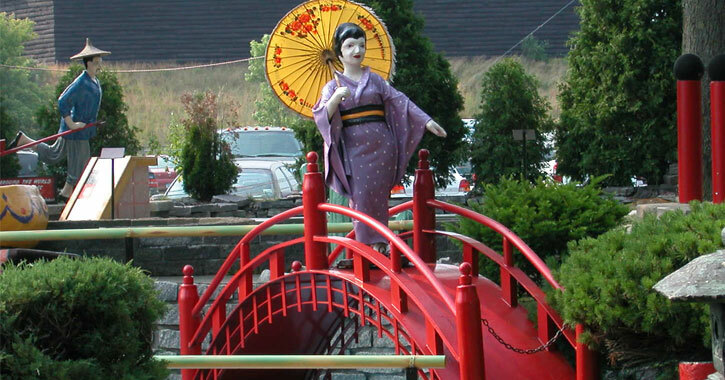 In addition to their Gold Rush Adventure Mini Golf course they also offer go-karts and gem and stone mining outside, and a playground, roller skating, and laser tag inside. Over in Fort Ann, just about 20 minutes from the Village, you can find Hillbilly Fun Park that has not one but two mini-golf courses! They also offer over 30 different flavors of hard ice cream, six flavors of soft ice cream, and eight flavors of Krunchi Creme.